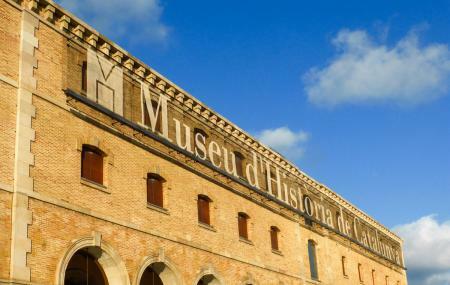 Find hotel near Museu D'historia De Catal ..
Museo D’ Historia de Catalunya is one the most coveted museums of Catalunya. It is located in Barcelona and was opened in the year 1996. It is a lovely way to explore the history of the state of Catalunya. It was made with the purpose of enriching the history of the locals as well as making a place in the minds of tourists who visit. This museum has many displays and a supporting gallery for you to explore and learn a lot more facts about the state you are visiting. All in all, it is a very interesting attraction to visit. To know about the reduced ticket price detail, visit the official website. Free admission: Children under 8, students groups accompanied by a teacher, teachers, unemployed, last Tuesday of the month(October to June), tourist guides, members of International Council of Museums (ICOM) or the International Council of Monuments (ICOMOS). Free entrance: On 12th February, 23rd April, 18th May, 11th September and on 24th September. Ticket office – Closes 30 minutes before the closing hours. How popular is Museu D'historia De Catalunya? People normally club together Forum Building and El Paballon De Barcelona while planning their visit to Museu D'historia De Catalunya. One of the best history museums we've seen in a while. It's totally worth the visit. I want to call it a hidden gem, but it's really not hidden - it's just a gem. Audio guide is offered for free through WiFi and the official website of the museum. I would highly recommend to visit if you at all interested in learning more about Catalonia. Additionally, bar at the top of the museum offers amazing views of the harbor. The history of the region explained pretty well with most of the texts available in English as well as Spanish and Catalán. Easily could spend 2-3 hours there. There's also a nice terrace on top of the building with a restaurant, however if you don't want to buy anything there's still space for non-clients. The museum could be worth 4 stars, but almost all explanations are in Catalonic or Spanish languages only, no English, so we weren't able to sort things out. A real shame on a "good and interesting" museum. There is some mobile app available, which you can use (at some spots) to get English presentations, but I would estimate that >80% is only Catalan/Spanish. If I could I would give it 6 years. It was one of the best museums I have been to. There are ways you can interact with the expositions and music you can play from the period you are looking at. I didn't expect it at all. The price is 4.50 euros for an adult and 3.50 for a student if you have an ISIC card. It was amazing and I would visit it again.